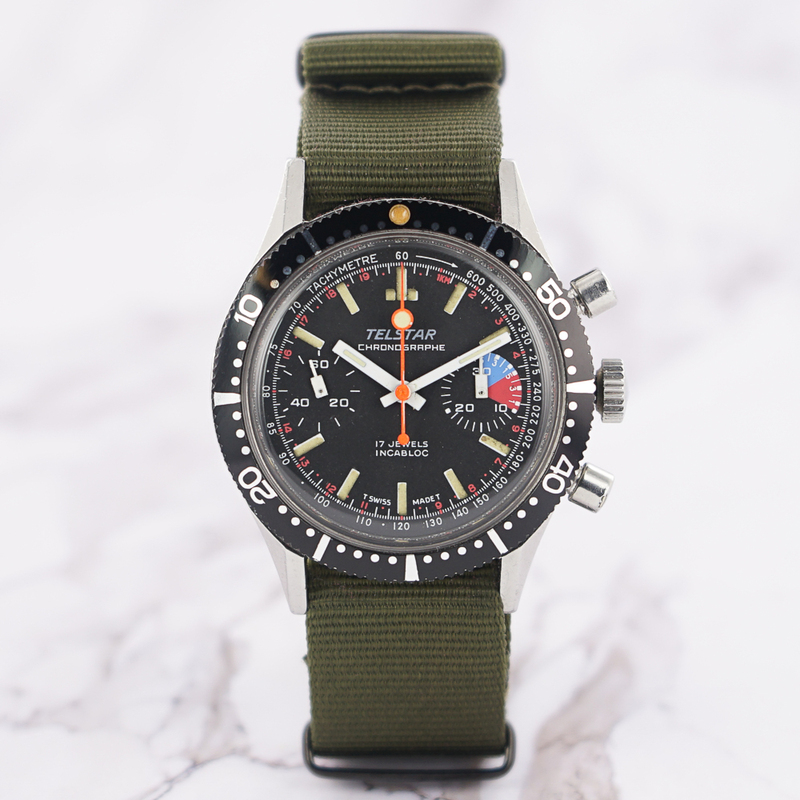 We do not know much about vintage Telstar production, but what we know is that the made a bunch of very cool sport chronographs in the sixties. This one, in great condition, makes no exception, featuring a black and bold bezel, a black dial with splashes of color, awesome chrono handset and a 20 atm. case. Asking 950€ shipped. Follow the link below for more pics and for some other watches.